That Comes To You From our locations in Ellsworth and Brewer, we can take care of your glass needs. We are locally owned and operated, and our technicians have the most experience in the area! 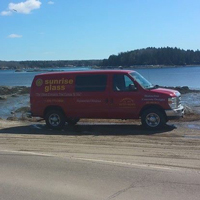 We are the glass company that comes to you! 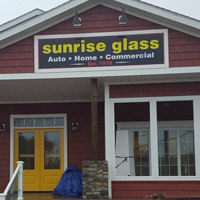 With Sunrise Glass we give each customer individual attention. Storefront windows, commercial doors, privacy glass, etc. Call us for a free estimate for your glass needs for your boat. Don’t let a broken window in your excavator slow you down. Whether it is auto, boat, or house, we travel to you to take measurements and give you a free estimate. Let us come to you to fix your glass. We are locally owned and operated. We operate with integrity after all we are members of your community; we want to exceed your expectations! We have been serving our customers for over 30 years and are a trusted company serving schools, hospitals residential and many area businesses. 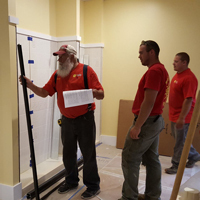 We pride ourselves in quality workmanship and our technical experience. We stand behind our work so you can be confident that we are not happy until you are happy. 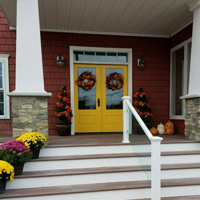 We provide free estimates for all of your projects. Our estimates are always timely, free and no pressure.